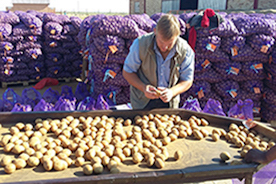 Potato Certification Service is a non-profit company that plays a leadership role in the persuit of a sustained supply of healthy planting material to the potato industry of South Africa. 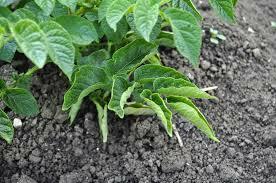 JP van den Berg (L 017) was announced as Seed Potato Grower of the Year at the Seed Potato Growers’ Forum. 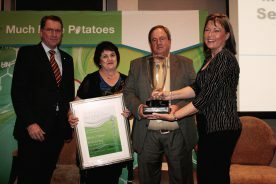 His parents Koos and Erina van den Berg received the trophee on his behalf.